Buy 6 or more for $6.49 each. 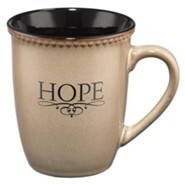 Shaped stoneware mug with rich dark interior is accented with dimensional trim and uplifting words of inspiration from Scripture. 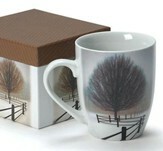 14 ounce capacity, gift boxed; safe for microwave and dishwasher. 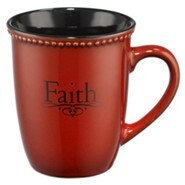 For today's Christian home in contemporary style and design. 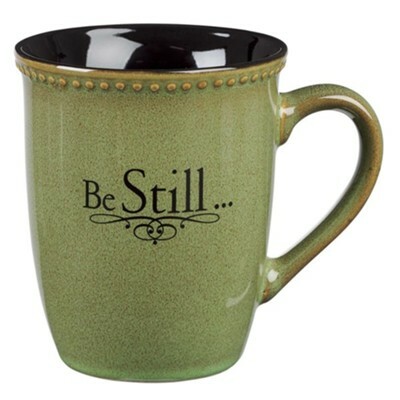 Olive green; Bible verse Psalm 46:10: Be still & know that I am God. On reverse side: Be Still. Q: Is this made in China? Yes, this cup is made in China. I'm the author/artist and I want to review Be Still and Know Mug.